Frederick N. Dickson was born in Northfield MN on May 15, 1863, to John and Mary Dickson, originally from Ontario. He graduated from Carleton College in 1885, and married Alice Strong of Chicago in 1899. Following his graduation from Carleton, Dickson moved to St. Paul to “study law” in the offices of J.W. Lusk and C.W. Bunn, then later in the office of General John B. and Judge Walter H. Sanborn. He was formally admitted to the bar in 1887 and entered into private practice with Stan J. Donnelley. In 1901 he was appointed Assistant US Attorney, serving one year. He also served as Assistant Attorney General of MN under Attorney General Donahower. Dickson served as chairman of the St. Paul Republican Committee, and thus managed the campaign of his partner Herbert B. Keller who was then elected Mayor of St. Paul. 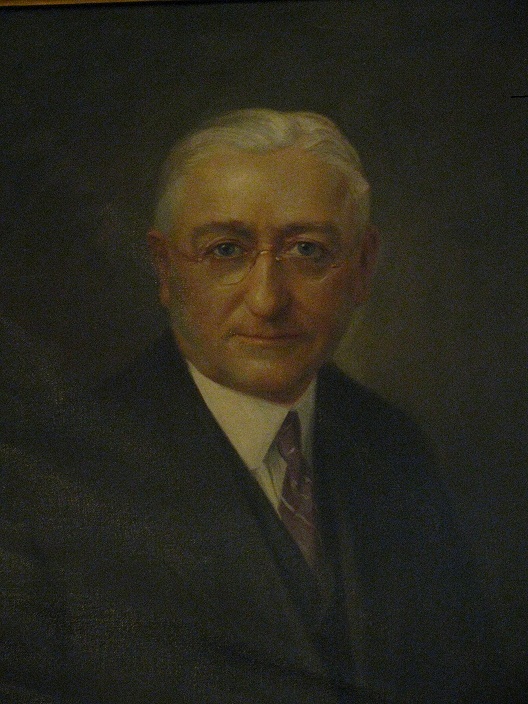 Mayor Keller then appointed Dickson to the Board of Police Commissioners, wherein he served until he was appointed to the Ramsey County District Court bench in 1911. Frederick Dickson died in St. Paul on July 9, 1941 at age 78, three weeks after suffering a stroke.